Some people are born to write. In almost every class, there’s one kid that can easily churn out 5,000 words almost as easily as inhaling air. Seriously, how do they do it?! But to the rest of us plebes, writing an essay isn’t always an “anything goes” kind of experience. Whether you like it or not, essay writing is a big part of the high school experience, which is why it’s a crucial skill anyone should learn to wrestle with. 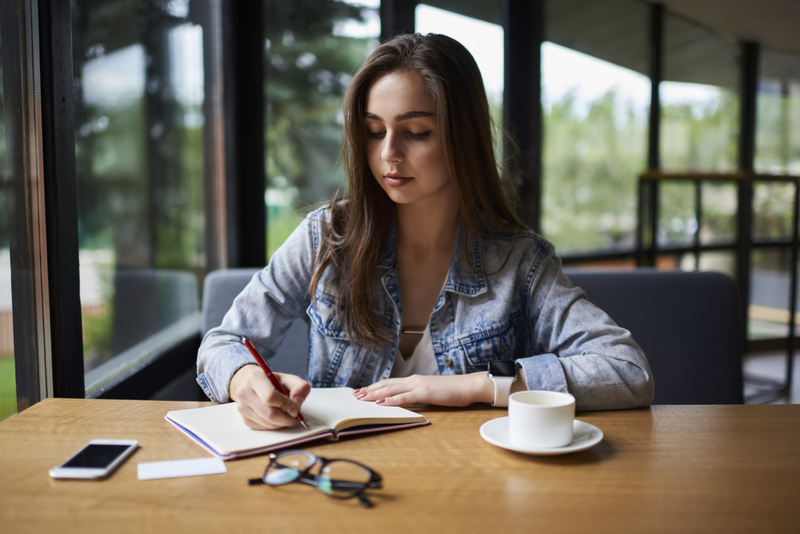 Sure, it takes years of practice to develop strong writing skills that will wow any teacher, or better yet, external exam maker, but there’s no reason why you can’t start writing the perfect essay today. We often shy away from essays because we feel like we don’t know what to say. That’s only really true if you’re forcing yourself to say something you don’t believe in. Alas, the very first step to writing the perfect essay is coming to terms with what you know about the topic. What thesis, unique angle, or argument can you bring to this essay? Remember, an essay is meant to test your reasoning skills. You’re convincing your reader that your opinions are actually worth something. The typical essay question has something to do with evaluating an object, a phenomenon, or a character. For example, if your essay prompt is asking you to evaluate a fictional character’s good deeds, know that you don’t have to evaluate his or her good deeds especially if you think that these so-called “deeds” aren’t genuine in the first place. Essentially, just write about what you believe in and you’re already on the right track. When it comes to writing, there are two techniques that most people abide by: plotting vs pantsing. Most people would tell you to write a foolproof outline, but in reality that advice isn’t applicable to everyone. Instead of spending so much time writing the perfect outline, decide first what kind of writer you really are. Plotting is when you decide everything you’re going to write from the get-go. Plotters know everything about their work from start to finish: what anecdote to incorporate, how to transition from one idea to another, how to conclude the essay. Then there’s the pantser, who lets the essay run its own course. The ideas just come and go as the writer courses through the writing process. There are famous published writers who fall under these two categories. From the plotters, there’s J.K. Rowling who is known to have planned all of Harry Potter before even writing a single word of it. If you’ve ever wondered why the plot just feels so well-thought of, it’s because it is. Check out her hand-written plot spreadsheet! Then there’s George R.R. Martin who’s a well-known pantser. All those twists in A Song of Ice and Fire might feel too well-knit to ever be a result of pantsing, but that’s because he goes in and edits the work after writing. Plotting is great for people who enjoy planning ahead instead of writing spontaneously. On the other hand, pantsing is perfect for people who have bursts of creativity and want the freedom to adjust their ideas any time. Find which best works for you and use that to your advantage. Forget the advice people always say regarding outlining. If pantsing is more your things then by all means, write away! Here it is, the step you wish didn’t exist: research, the bane of all students in the world. If there was any way to start a well-written essay without research, we’d tell you, but unfortunately, you’re on an article that teaches you how to write essays properly. Most students would dive blindly (so help them) into an angle only to realize they aren’t well-informed enough to continue writing the entire piece. Sure, some essays are opinion pieces but if you happen to write about a non-existent detail, then it’s no one else’s fault but yours. Spending a couple of minutes on research will not only save you tons of time during the actual writing, but will also help you form coherent and effective arguments. Your research will help you form, debunk, evaluate, or strengthen your own ideas. Through other people’s words, you can choose which ones to omit, include, paraphrase, and cite. All these things make for a stronger, better essay! Whether you’re a plotter or a pantser, having a thesis statement can mean the difference between a well-written essay and one that’s just, well, pure crap. A thesis statement is a specific presentation of your topic. An effective thesis statement will remind you what you’re supposed to be writing about so you don’t have to spend incredible amount of time wondering how to get from point A to point B. Talking about ducks and then dogs the next? Discussing global warming and then pandering to the lost Atlantic city? These meanderings happen because you don’t have a gameplan AKA a thesis statement. Without the thesis statement, your “essay” could just be all fluff, with you unknowingly spinning the question a thousand times and never even answering it. We know, what a horror, but fret not! The best way to get around this is by introducing a thesis statement that will add a “how” or “why” to your answer. For example, instead of using a generic, vague thesis like “Ronald Weasley is the real hero of Harry Potter”, you could start enumerating how or why you think Ron’s a better hero than Harry. A good thesis statement would sound like this: “Ronald Weasley is the real hero of Harry Potter because he embodies heroic personalities like bravery and friendship”. The rest of your essay, then, would be based on proving how Ron was able to portray the very two characteristics you just mentioned. When you’re lost and unsure what to write next, just read your thesis statement to remind yourself just exactly what it is you’re trying to say. Starting with the introduction might seem like the most logical thing to do but trust us when we say you want to save that for last. Think of it this way: introductions are supposed to give your readers a little preview on the topic, and how are you going to do that if you’ve written literally nothing else but your name, the date, and the subject? The intro is pretty much the reader’s summary of the main body. How else are you going to summarise something that doesn’t exist? Start by writing the body. Keep your thesis statement in mind as if your life depended on it! Discuss each supporting point succinctly. When you write a supporting point, write 2 to 3 sentences to elaborate and do your best to relate it to the thesis statement. The main goal of your essay’s body is to explain things that matter and to delete everything that doesn’t. Are you just pandering to achieve that 5,000 word limit? One thing you could to ensure that everything you’re saying is relevant is by deleting that line and seeing how it affects the rest of your argument. If you delete a line and it has no effect on the paper, say bye bye to that line because what you’re writing is fluff. No one’s expecting you to be Albert freaking Einstein. The only thing your teachers are expecting of you is that you understand what you’re talking about. That much is being evaluated through your conclusion. One way of writing a simple but effective conclusion is to simply round up your points together and present them clearly with the thesis statement. Write using your own words and re-emphasize the points you made in the body. Forbes says the number one reason why college applications are rejected is because applicants never bother to check for typos and misspellings. Seriously, this step is one of the most important parts of essay writing but is often neglected by students. We get it. After spending so many hours with your computer, you just want some space to breathe, to become yourself again…but really, spending another 20 minutes making sure you didn’t misspell “definately” again will save your essay’s credibility. Re-reading your essay will also help you see lapses in judgment. If 2 hours ago you thought writing “Dogs are man’s best friend because 90% of the population is introverted” is a great way to start an essay, then re-reading points like this will help you identify which sentences need to go and stay. The bulk of the work should be focused on improving sentences, specifically your transition from one thought to another. More often than not, our first draft is exactly what it is: a draft. Apply the Pareto Principle: know that 20% of your work is useful stuff and that the other 80% needs to be edited. Spend your time tying loose sentences and eliminating vague references that you would have missed on the first round of writing. Don’t beat yourself up just because you’re not like that kid Joan who can magically write 1,000 beautiful words on anything under the sun. You might not be like Joan, but you can spend a lot of time perfecting your writing strategy. At the end of the day, there’s no difference between practice and pure, God-given skill if you’re writing the same A+ paper. Just keep your head up and your fingers on your keyboard. In no time, you’ll be a pretty darn good writer, too! Enjoyed this post? LIKE US below to stay in the loop for study tips, productivity hacks and special offers. © 2018 Tutornova. All rights reserved.